If you are not using Pinterest yet to promote your products, you are already behind your competition, because they are. When you have awesome products Pinterest is a great way to show them off to the world. But if you have a Prestashop website, it might be hard to get your website verified by Pinterest without getting a developer involved. That is why we made a Pinterest verification module to take all of the work out of getting verified. 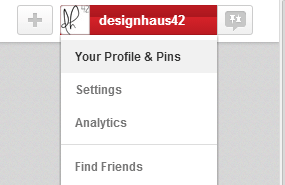 When you log into your Pinterest account you will need to click on your name and and a drop down will appear. Click on “Your Profile and Pins”. Now click on the pencil and paper icon in the lower right hand corner of your profile and you can edit it. Next you will want to click on “Verify your Site” and a box like below will pop up. In this box click the red text that says “Verify with a meta tag” when you do the box will change into the box below. Now you will want to go into the backoffice of Prestashop and go into the Pinterest verification Module. Click configure and the inside of the module will look like below. Paste your verification meta tag into the module and click save. Now you can go back to Pinterest’s website and click “Complete Verification”. That is all you have to do and your site should now be verified with your Pinterest account. Now you can get to making fun and creative pins and driving traffic to your site. The module is simple to setup and use, it is also compatible with all versions of Prestashop 1.5 and 1.6.